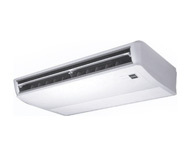 Ducted air conditioning system installations are generally above ceilings and stay out of sight. 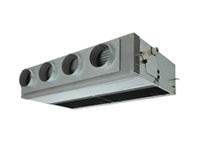 Ducting is installed and leads to a number of supply and return air grills in the ceiling. 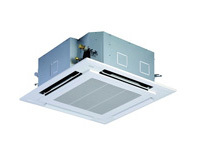 In an open plan situation with no suspended or solid ceiling the whole unit and ducting can be seen, this making a feature of the complete installation. 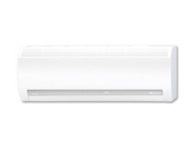 Generally designed to be in large open plan areas but also suited to low ceiling situations where airflow is to be kept to a minimum. 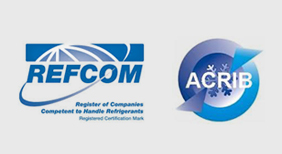 Air flow dampers installed on supply grills mean excellent air flow control. 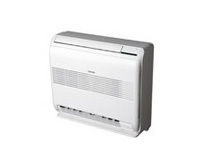 Floor mounted air conditioning units are widely used for domestic installations, great for limited space.